Poppy Z. Brite (born Melissa Ann Brite on May 25, 1967 in New Orleans, Louisiana) is an American author. 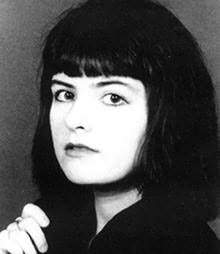 Early in Brite's career, she was best known for writing gothic and horror novels and short stories. Her trademarks have included using gay men as main characters, graphic sexual descriptions in the works, and an often wry treatment of gruesome events. "...a vastly entertaining, intelligent book with a lot of heart." "J. N. Williamson is a horror classic." "Ian McDowell is one of the best authors working in dark fantasy." "Though provoking and a ripping good read ... I devoured Polymorph in one sitting." "I wish I could hope to ever attain one-thousandth the perversity of Robert Devereaux's least toenail clipping." "If you have no appetite for bland, 'likable' characters -- if the suburban protagonists of countless paperback horror novels reflect none of your experiences or desires -- if you want to crawl inside the heads of predators and savor the dark excesses there -- in short, if you still long for the awe inspired by a tale larger and stranger than the sum of its parts on the page, then you will treasure the work of Caitlin R. Kiernan. She writes from a place you and I cannot imagine. The fact that she allows you to experience this place through fiction does not mean she will compromise to suit your tastes or coddle your fears." "With his electric intensity... Shirley is one of the most original voices in fiction today." "Justine Musk is a talented, vivid writer and a voice we're going to be hearing for a long time."